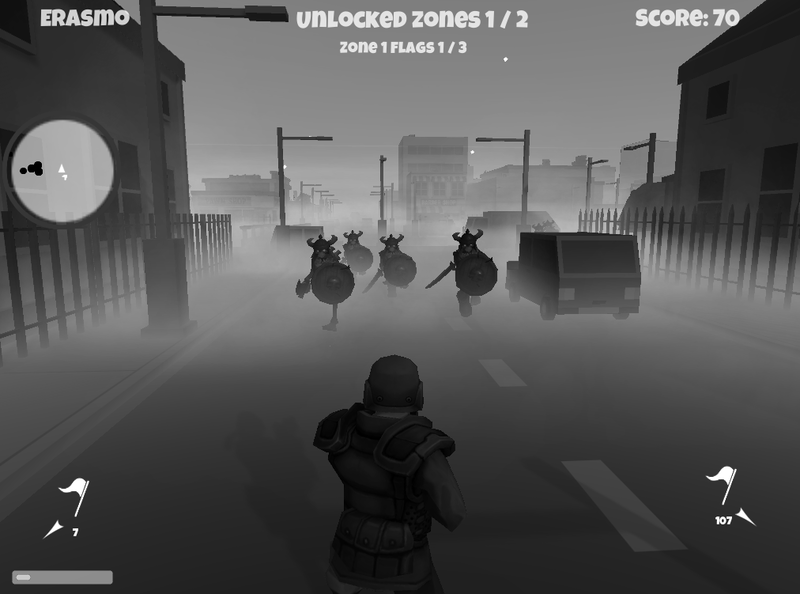 The game inspired by the TV show “The Mist” and tale, places you in a role of a soldier in charge of killed every monster around the streets. "After an eerie mist rolls into a small town, the residents must battle the mysterious mist and its threats, fighting to maintain their morality and sanity." Something in the Mist is a initial idea for a “Fifty Shades of Grey” Game Jam. The game has a survival style with some basic missions. Collecting flags containing the suposed cure for the mist, unlocking sectors and surviving as much as you can.